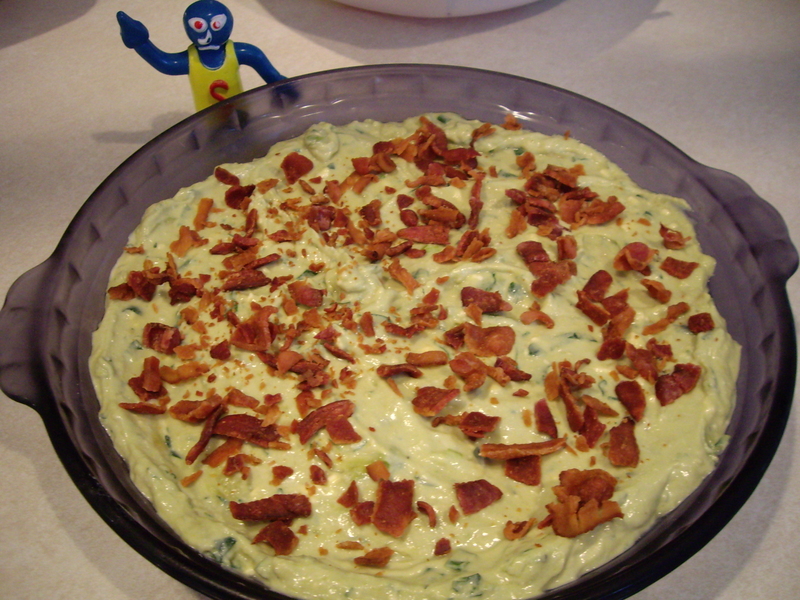 Cobb Salad Dip | What's Cooking at the Genua's? Well seems like my attempts at getting the blog done earlier with the new job isn’t working out. Today anyway. I thought I did it and then realized that was the day before! My brain is still adjusting to all of this. I think pretty much everyone likes a good Cobb Salad. But with Super Bowl coming up I wanted something different to add this year. Salad is too healthy for Super Bowl snacking so this is the next best thing. Cobb Salad as a dip! Minus the lettuce of course. You can serve it with celery stick if you want but it will go best with crackers or pita chips! Yum…. I will be making this myself for the first time this weekend so I will swap out the picture for my own when I do. Step 1: This can be done up to 1 day ahead and refrigerated in a covered container. Stir briefly and finish with step 2. Place sour cream, blue cheese, lemon juice, salt and Worcestershire in a medium nonreactive bowl and stir until well combined. Step 2: Fold in avocado, scallions, and parsley, transfer to a shallow serving dish and top with bacon. Serve with celery sticks or assorted crackers, chips, etc.